My second American crime drama of late reinforces my theory that a film with a decent well-written story, that’s well told and has a cast of actors that can depict a believable scenario cannot fail to entertain the viewer, be it at the cinema or on its DVD release. The film under discussion is The Drop released in the UK at the end of 2014 and sadly has the distinction of being James Gandolfini’s final appearance in a feature film, an actor that will be fondly remembered for his role of Tony Soprano in the award winning HBO series The Sopranos. Denis Lehane not only wrote the short story, Animal Rescue, upon which the film is based, but also wrote the movies screenplay. Boston born Lehane has already had three other stories successfully adapted for the screen, the Clint Eastwood helmed Mystic River (2003), Gone Baby Gone (2007) with Ben Affleck directing his brother Casey in a Kenzie and Gennaro mystery thriller and in 2010 Martin Scorsese directed Leonardo DiCaprio in the psychological thriller Shutter Island. Lehane writing is always solid with some great characterizations and The Drop is no exception. 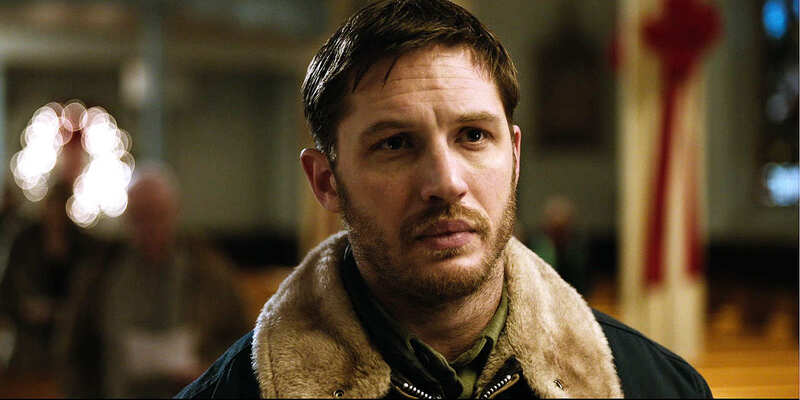 Directed by Belgian born Michael R Roskam, who had only directed one feature film prior to this one, the well regarded and Academy Nominated Bullhead (2011) and starring as well as Gandolfini British actor Tom Hardy, Swedish actress Noomi Repace and star of Roskams debut film Matthias Schoenaerts. 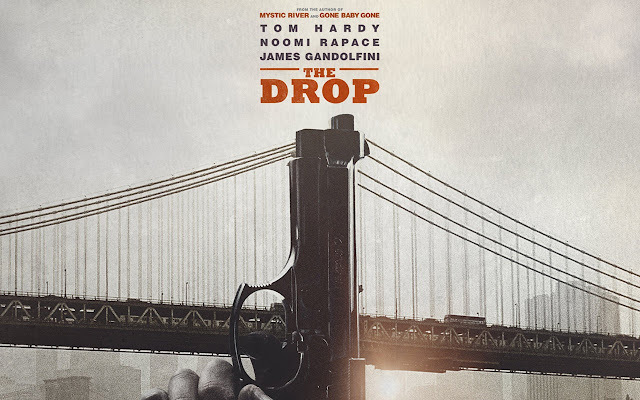 This gripping and absorbing thriller centres on the autistic Bob Saginowski (very convincingly acted by Hardy who seems to get better in every movie) who works at his cousin Marv’s (Gandolfini) Brooklyn Bar. The bar is no longer owned by Marv but by some unsavoury Chechens who use it as a drop/collection point for the mobs money. Marv wants retribution for loosing his bar and plans to rob the bar of its rich pickings on Super Bowl night. Going home from work late one night Bob discovers a brutalised abandoned Pit Bull puppy in his neighbour Nadia’s (Repace) dustbin, when Bob rescues this dog he could not realise what the implications would be, some of which involve Eric Deeds (Schoenaerts), an ex con who claims responsibility for a ten year old unsolved murder, Deeds also claims he is the true owner of the dog! 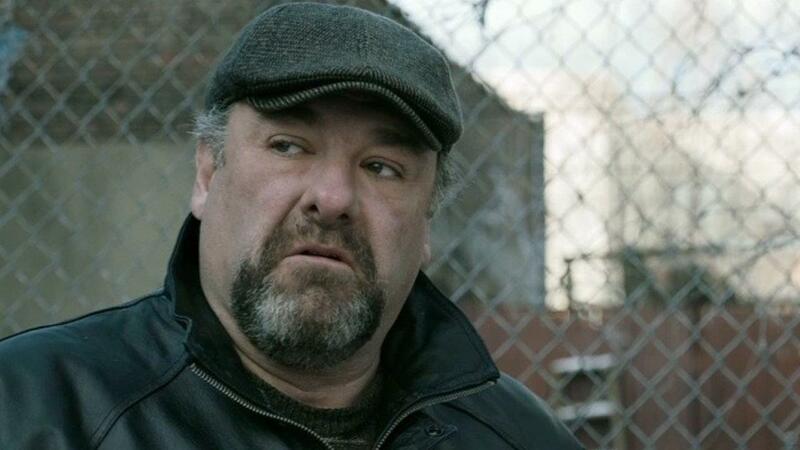 ....and the late great James Gandolfini.